Unroll second can of dough. 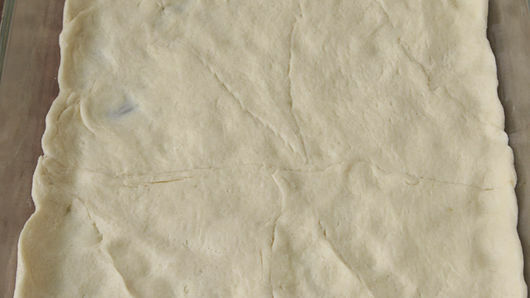 Firmly press perforations to seal. 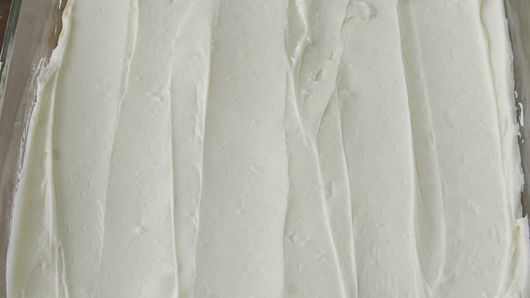 Carefully place on top of cream cheese layer. Pinch seams together. Bake 30-35 minutes or until bars appear set when gently shaken. Cool slightly, about 30 minutes. Refrigerate for easy cutting. Cut into 4 rows by 3 rows. Cover and refrigerate any remaining bars. Press out the second can of dough on a large piece of baking parchment, so you can press the perforations together easily. 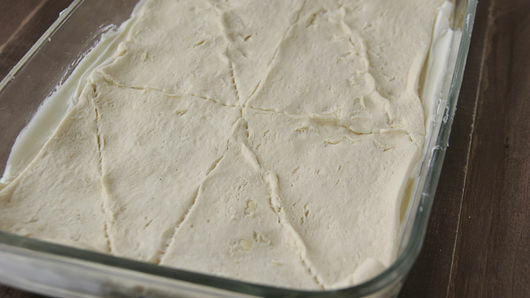 Then carefully turn the dough over on top of the cream cheese filling, peeling the parchment away. Traditional sopapillas are drizzled with honey at the table, but the bars have plenty of sweet bite built right in. They are most delicious eaten while they’re still warm (let them cool for the 30 minutes so they aren’t too soft to cut). And if there are leftovers, cover store in the fridge, but warm them back up in a low oven or for a few seconds in the microwave. Can’t decide between sopapilla or cheesecake for dessert? 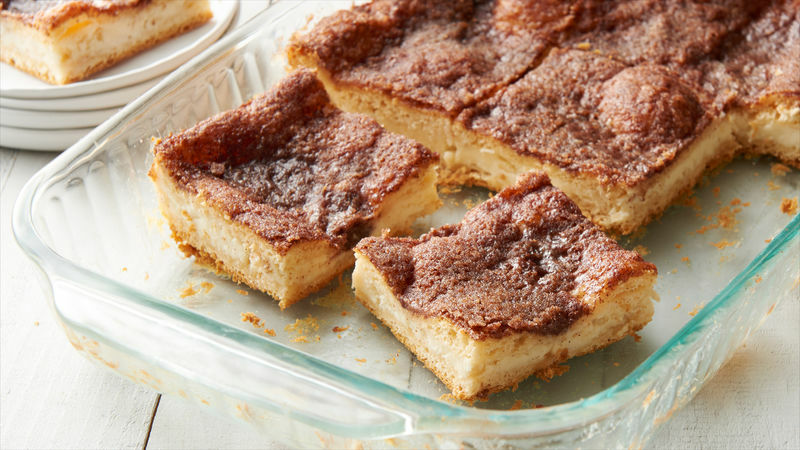 With this clever and easy recipe for sopapilla cheesecake bars, you don’t have to choose—you can have both at once. This easy recipe takes just 15 minutes of prep time, thanks to the time-saving shortcut provided by Pillsbury™ refrigerated crescent dinner rolls. And rest assured, it delivers home-baked goodness in spades. To add an authentic touch, serve the bars with a drizzle of honey, just like they do with sopapillas in New Mexico. 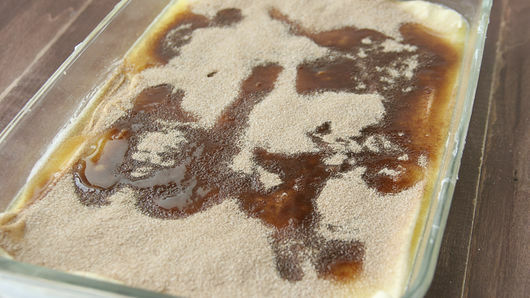 For step-by-step instructions, check our failproof guide on how to make sopapilla cheesecake bars. 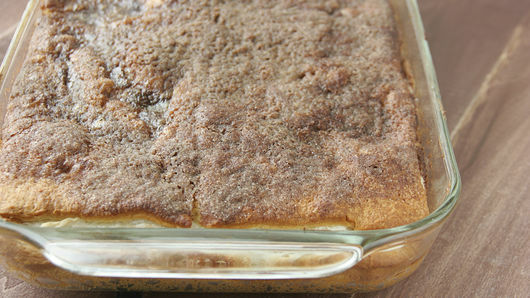 Does this sopapilla cheesecake recipe have you craving more? From irresistible Oreo cheesecake to creative lemon cheesecake crescent roll-ups, we have all of Pillsbury's best cheesecake bar recipes for you to try next.